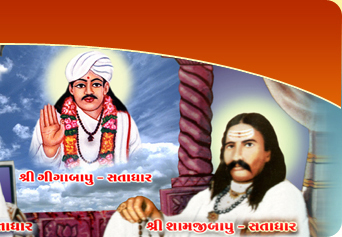 Around 1800 A.D. Shri AAPAGIGA has come to Satadhar to work for the people of the societies at large. 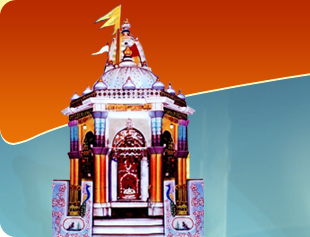 He gave numerous miracles through his divine power which was the gift from almighty Mahadeva and his Guru Shri Dan Maharaj. He had serviced not only human beings but selfless services towards cows. Shri AAPAGIGA established satadhar and started social activities like temple of Mahadeva, Food to everyone at any time, Gaushala ( A cattle farm ) and numerous other services. 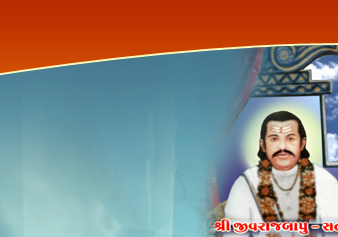 He also helped the peoples around the nation to understand that the true religion is to service the unknown, selflessly. All the Saints around the nation and sadhu/mahatma coming from Junagadh take here rest and enjoy the calm and divine atmosphere of the place.